When is the June Solstice 2019? 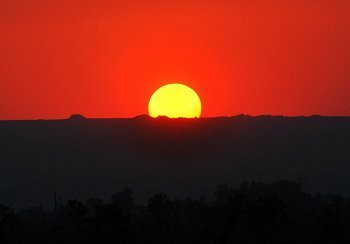 The June solstice, also known as northern solstice and Midsummer, is the moment in time when the Sun reaches its northernmost position in the sky as seen from Earth. In the Northern Hemisphere (North and Central America, Europe, Northern Africa, Asia) it is the summer solstice, while in the Southern Hemisphere (South America, Southern Africa, Australia and New Zealand) it is the winter solstice. The June solstice occurs every year between June 20 and June 22. The dates given on this page are based on Coordinated Universal Time (UTC), which for practical purposes is equivalent to Greenwich Mean Time (GMT). While the June solstice occurs at the same moment in time all over the world, the date and local time differ from place to place depending on the year and a location's time zone. For locations that are ahead of UTC (further east) it may fall on the day after, and for locations that are behind UTC (further west) it may fall on the day before. 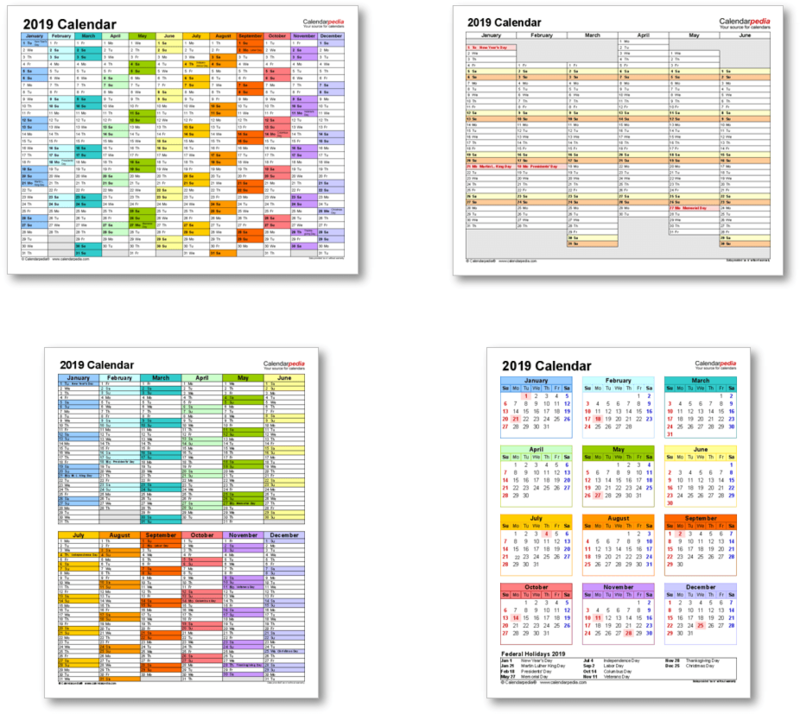 To find out the exact date and time of the June solstice 2019 in your area use this seasons calculator. The June solstice marks the last day of spring and the first day of summer in the Northern Hemisphere and the last day of autumn (fall)and the first day of winter in the Southern Hemisphere. It is one of four days (two equinoxes and two solstices) throughout the year that mark the beginning of a new season. The other days are the March equinox, the September equinox and the December solstice. For more information see June solstice on Wikipedia. 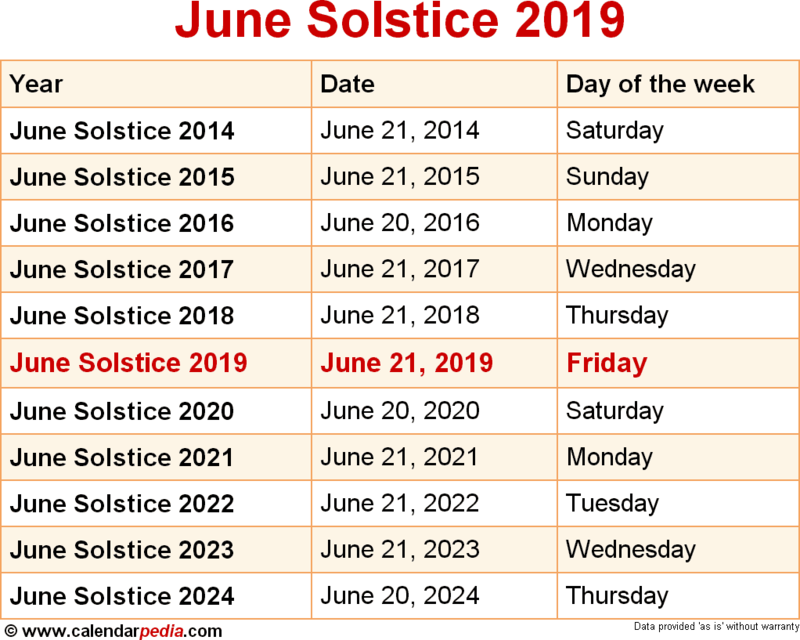 When is the June Solstice 2020? The next occurrence of the June Solstice is marked in red.